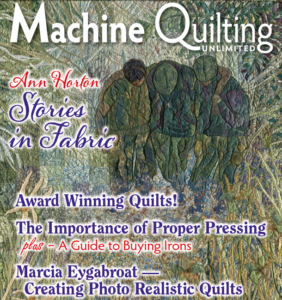 Marcia Eygabroat’s quilts have won awards, been published, and been exhibited at many shows and prestigious quilting exhibitions. 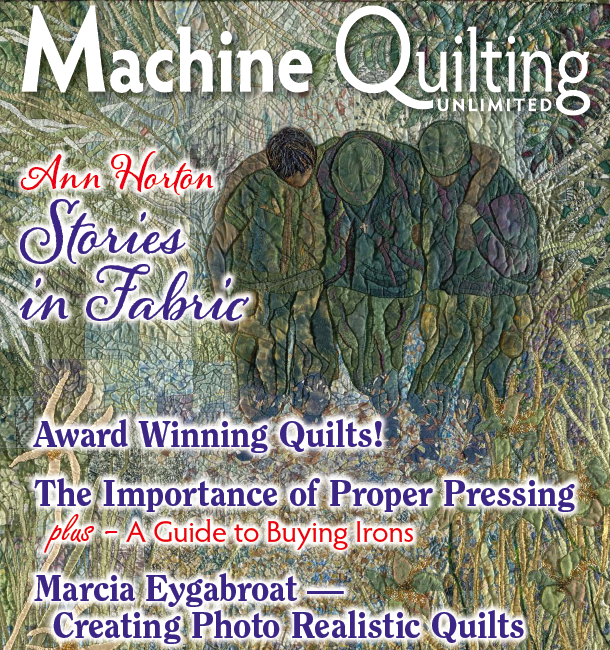 Publications featuring Martia’s Eygabroat’s art quilts. Because Marcia Eygabroat’s quilts are unusual and filled with incredible detail, publications have requested to highlight her art quilts. Her work has been featured in a number of magazines, including quilting magazines, the Studio Art Quilters Association publication, Portfolio, and others that feature artists and their work. Publications featuring Marcia’s art quilts. 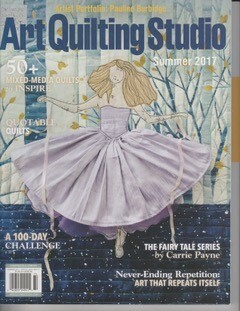 Exhibitions featuring Marcia Eygabroat’s art quilts. June – August 2016 – Brigham City Museum of Art & History, Brigham City, Utah, International Quilt Exhibition, “Secluded Splendor” was on display and sold at this show. December 2010 – Schweinfurth Memorial Art Center, Auburn, N.Y. Quilts=Art=Quilts. Gave a lecture and trunk show during this annual event. 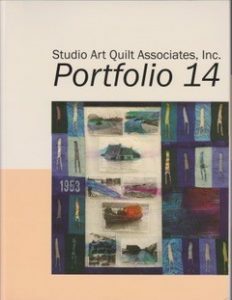 October 2010 – Naples Open Studio Trail, Finger Lakes, N.Y. Juried to have quilt studio open for two days along a trail that includes 20 artists of various mediums. November 2006 – Schweinfurth Memorial Art Center, Auburn, N.Y. Quilts=Art=Quilts. Show juried and judged. “Secluded Splendor” was accepted for display through January 2007. October 2006 – August 2008- “Expressions The Art Quilt”. Ricky Tims Gallery, La Veta CO. Also touring the Machine Quilters Exposition, Manchester NH; Museum of the American Quilters Society, Paducah, KY and the AQS Quilt Exposition 2007, Nashville TN. A total of 230 Quilts were submitted for jurying, only 63 were accepted. Only the “best of the best” were accepted for this prestigious show. “Time for Tea on the Veranda” was accepted and won the award “Excellence in Workmanship”; a unanimous vote from the judges. Only four quilts received large awards in this show. 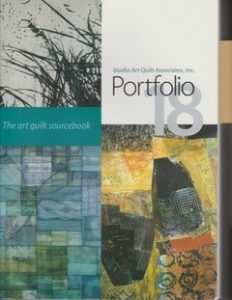 August 2006 – AQS 2006 Quilt Exhibition, Nashville, TN. This prestigious show accepted “Secluded Splendor“, winning the third place award for the “On the Wall” category. November 2005 – Schweinfurth Memorial Art Center, Auburn, N.Y. Quilts=Art=Quilts. Show juried and judged “Sisters, A Quilted Snapshot” was accepted for display through January 2006. October 2005- Houston International Quilt Festival, Houston, TX. A juried portion of the show “Tactile Architecture” accepted “Time for Tea on the Veranda” and “Sunday Morning Solitude” for display. February 2005- Mid-Atlantic Quilt Festival, Hampton Coliseum, Hampton, VA. A juried show accepted “Gardening Dreams” into this prestigious show. January 2005- Cameron Art Museum, gift shop, Wilmington, N.C. displayed several of my quilts through May 2005. November 2004- The Art of the Quilt: 4th Biennial Invitational Quilt Exhibition; Piedmont Arts Association, Martinsville, VA. Invited me to show “Gardening Dreams” through December 2004. July 2004 – Aug 2005- TAG, The Artists Gallery at Lumina Station, Wrightsville Beach, N.C. displayed many of my quilts and wearable art. June 2004- Nan Miller Gallery, Rochester, N.Y. One woman show at this exclusive gallery. 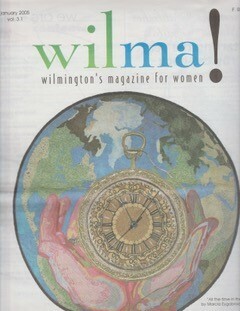 January 2004- Cameron Art Museum, Wilmington, N.C. Southeastern Artists Show. Juried “My Yard Waits For Spring” was accepted for display through May 2004. 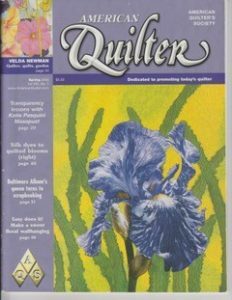 November 2003- Schweinfurth Memorial Art Center, Auburn, N.Y. Quilts=Art=Quilts. Show juried and judged “Gardening Dreams” and “Do I seem Shy to You ?? ?” were accepted for display through January 2004. October 2003- Quilt Show Floyd, VA “Historic Perspective” received an Honorable Mention. “Devinely” and “All the Time in the World” were on display. May 2003- Page Walker Arts and History Center, Cary, N.C. The PAQA juried show; Vantage Point South had “Blooming by the Weathered Fence” on display. November 2002- Schweinfurth Memorial Art Center, Auburn, N.Y. Quilts=Art=Quilts. Show juried and judged. “Planting Time II” was awarded a first place blue ribbon for Pictorial Quilts. “Historic Perspective” was also accepted for display through January 2003. September 2002- Quilt Show Floyd, VA. “Do I Seem Shy to You ?? ?” received an Honorable Mention. March 2002- Quilt Show, Wilmington, N.C. “Do I Seem Shy to You ?? ?” was displayed. 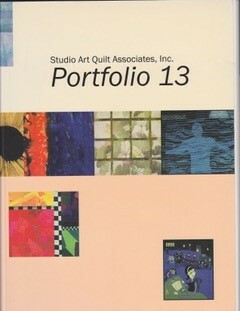 November 2001- Schweinfurth Memorial Art Center, Auburn, N.Y. Quilts=Art=Quilts. Show juried and judged. “Wind, Moon, Sun” on display through January 2002. August 2001- Quilt Show, Asheville, N.C. A judged show. “Blooming by the Weathered Fence” was awarded an Honorable Mention. May – July 2001- Bradiggins Art Gallery, Hillsborough, N.C. Annual juried textile show. “Wind, Moon, Sun”, Planting Time II” and “Devinely” were displayed. July 2000– Iredell Museum of Arts and Heritage, Statesville, N.C. “Wind, Moon, Sun” and “Planting Time II” were included in painter, Ivey Hayes, show. June – July 2000- Bradiggins Art Gallery, Hillsborough, N.C. Annual juried textile show. “Blooming Azaleas” and “Fall Splendor” were displayed. November 1999- Lattimer House, Wilmington, N.C. Several works were part of the annual show and sale. September 1999- Piney Woods Festival, Wilmington, N.C. Several works part of the Quilters by the Sea display. March 1999- Swan Coach House, Atlanta, GA. Six of my quilts were part of a juried textile show for the Atlanta Historical Society. March 1998- Quilt Show, Wilmington, N.C. Several works were on display. “Blooming Azaleas”, won a blue ribbon for the guild challenge category.